Advanced application uninstaller for Windows XP-10. 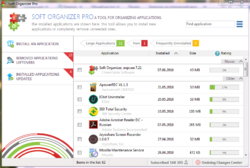 Soft Organizer Pro 7.21 was available as a giveaway on June 9, 2018! 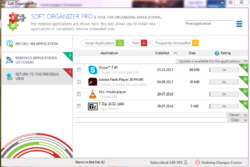 How would you improve Soft Organizer Pro 7.21? As I currently have a problem to download the regular way, I'm using the direct link option (a link that is being sent to my email). Yet, did not get any licence and / or link to such. Kindly advise how I may obtain one on order to fully utilize that great piece of SW. This seems to be an excellent programme one question not really related to to this, but when Win10 do their numerous updates, usually (in my case) loaded with a fault preventing the next update from installing, making it necessary to do a clean re-install, can i carry this programme over after backing it up? I am a complete 79 yr old nooby, so sorry if this a dumb question! This seems to be an excellent programme one question not really related to to this, but when Win10 do their numerous updates, usually (in my case) loaded with a fault preventing the next update from installing, making it necessary to do a clean re-install, can i carry this programme over after backing it up? I am a complete 79 yr old nooby, so sorry if this a dumb question! Great program finds all the hidden files that junk up your pc. Every third-party program installed has a removal program. (Windows also uses it) After uninstalling the program, you get a pop-up window with the text, "some elements could not be deleted, they have to be removed manually", or (please restart your computer so that the remaining files can be removed). For my, no unnecessary programs on my computers. Every third-party program installed has a removal program. (Windows also uses it) After uninstalling the program, you get a pop-up window with the text, "some elements could not be deleted, they have to be removed manually", or (please restart your computer so that the remaining files can be removed). For my, no unnecessary programs on my computers. This program sounds very interesting, but it concerns me because of the possibility that while monitoring an install it might pick up portions of other programs running at the same time and then destroying them if I ever remove the software I was monitoring. I believe, however, that a hidden gem in this software is the ability to install a trial based program and when the trial expires, remove all remnants of that program so that I can install the trial again for an additional free period. For that alone, this program is worth installing. Susan, A valid concern. I have this program and can tell you that the way it works is that you can view what changes were made and mark items of both files and registry changes to ignore during the uninstall. As far as doing a complete cleanup so you can reinstall a trial, consider that you might also have to use a difference name and email to get a new trial download. That having nothing to do necessarily with what is on your computer. Susan, A valid concern. I have this program and can tell you that the way it works is that you can view what changes were made and mark items of both files and registry changes to ignore during the uninstall. As far as doing a complete cleanup so you can reinstall a trial, consider that you might also have to use a difference name and email to get a new trial download. That having nothing to do necessarily with what is on your computer. Susan, in my post (#3) I address this issue and mention the dialog I had with the dev' about it. As I was installing this software, I paid attention to the EULA: "You have a non-exclusive, non-transferable right to use the shareware version of Soft Organizer within evaluation period of 30 days." Does it stop working after that time? Doug Powell, From above description: NB: Lifetime license with no updates. JimK, I went ahead and installed it, and in the "about" section, it does say "You may use this software for as long as you like." Thanks. Doug Powell, yes I noticed that too, the license text has not been modifed for this special giveaway build that is all. I have purchased and use this program, and I love it. The server connection allows others to see what is uninstalled in percent. It will even find updates for your installed programs. 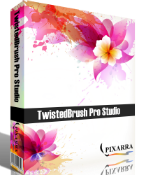 I have purchased and use this program, and I love it. The server connection allows others to see what is uninstalled in percent. It will even find updates for your installed programs. Get it while its free! Robert, could you comment a bit more about what happens with the server connection? I declined that option because I didn't really understand what it meant, and I'm even more unclear when you say it "... allows others to see what is uninstalled in percent..." What "others" and what "percent"? Thanks. StephenB, what Robert meant was - (Program) allows you to see the percent of others who (installed the same program) uninstalled it later. StephenB, in case Robert doesn't answer you: on the right side of Soft Organizer main window, beside each program installed on your PC, you can see its "rating", i.e. the percentage of uninstalls made with Soft O. So "others" are Soft O's users, and "percent" is, for each program, the percentage of these users who eventually uninstall it. No information about who they are! I guess it is supposed to give you an idea of its quality, and it seems harmless to me. 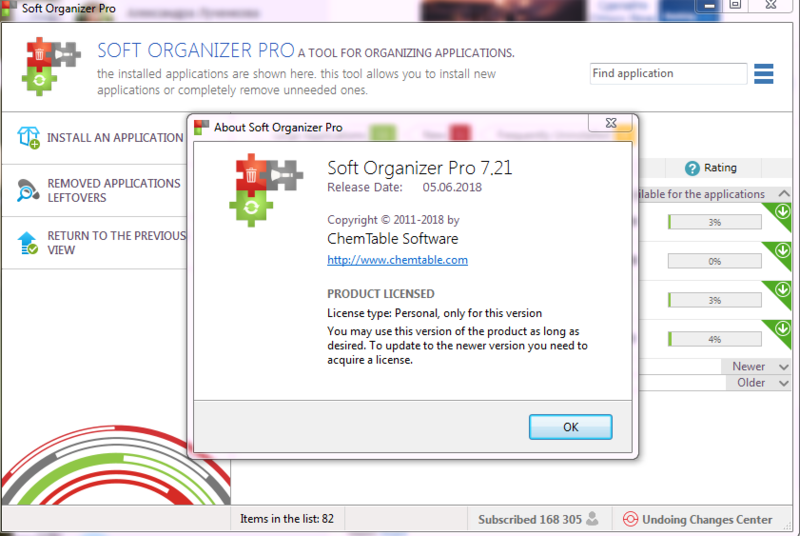 StephenB, in case Robert doesn't answer you: on the right side of Soft Organizer main window, beside each program installed on your PC, you can see its "rating", i.e. the percentage of uninstalls made with Soft O. So "others" are Soft O's users, and "percent" is, for each program, the percentage of these users who eventually uninstall it. No information about who they are! I guess it is supposed to give you an idea of its quality, and it seems harmless to me. I have always found the uninstall percentages a bit odd. We do not know exactly how the figures are calculated. We can only go on that the program was uninstalled, but we don't know why. It could have been for an upgrade (some programs automatically uninstall previous versions and others install over top of existing versions). 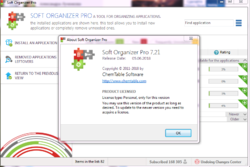 Are the statistics based on programs that were uninstalled by Software Organizer Pro, or simply they have detected that the program has been uninstalled through other means? We don't know. 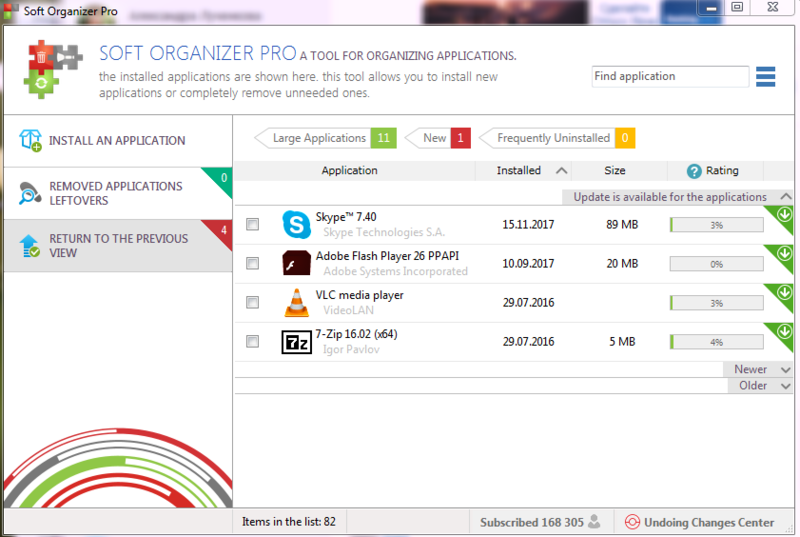 I looked through the list and noticed some of the programs that had been uninstalled by as much as 33% of users, but I still have them on my system, and as I read through I was understanding why so many had uninstalled them because they were generally leaning towards some of the worse programs I had ever installed, and then I noticed that my xplorer2 Ultimate also had a 33% uninstall rate. WHAT? That is the first program I start after booting, and the last one I close at the end. It is without a doubt the most used program I have on my system. It only shows how different users use programs differently. At this point, I am not going to put a lot of weight into those figures. Robert Smith, I have always found the uninstall percentages a bit odd. We do not know exactly how the figures are calculated. We can only go on that the program was uninstalled, but we don't know why. It could have been for an upgrade (some programs automatically uninstall previous versions and others install over top of existing versions). Are the statistics based on programs that were uninstalled by Software Organizer Pro, or simply they have detected that the program has been uninstalled through other means? We don't know. 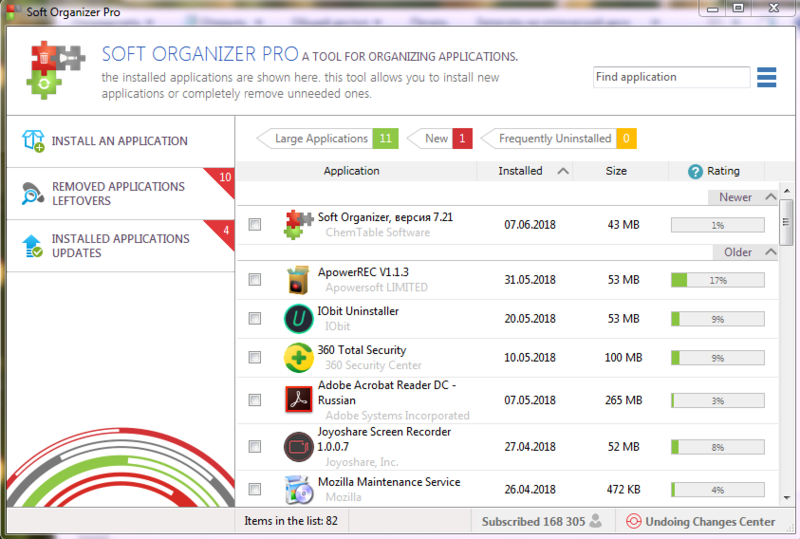 I looked through the list and noticed some of the programs that had been uninstalled by as much as 33% of users, but I still have them on my system, and as I read through I was understanding why so many had uninstalled them because they were generally leaning towards some of the worse programs I had ever installed, and then I noticed that my xplorer2 Ultimate also had a 33% uninstall rate. WHAT? That is the first program I start after booting, and the last one I close at the end. It is without a doubt the most used program I have on my system. It only shows how different users use programs differently. At this point, I am not going to put a lot of weight into those figures. It says "Universal Windows Apps Removal" so will it delete Camera, Cortana, Paint 3D, Mixed reality portal and Mixed reality viewer ? Derek McGill, That is very confusing when those apps would be removed. Normally, the apps from Windows do not have an uninstall. Derek McGill, Why don't you find out by yourself instead of putting here stupid questions? Janusz, I do not want to destroy my Win 10 installation by trying to delete parts of it that i do not want on my computer. other uninstallers have not been able to do what i want. Derek McGill, That is not really the purpose of this application. After using it I purchased it several years ago and have renewed my subscription. To do what yo are asking, about non-essential Windows applications, please just do a web-search. You may find that you can turn off some features. For some they may not gain you anything in performance. You can set the related services to "manual" and they won't run until you specifically invoke them. Put tape over your camera if you are paranoid. Derek McGill, With these kinds of programs you never know for sure whether the remaining files are necessary or not. Some DLLs can be used by other programs. Confusion everywhere. ouialaraison, No. No uninstaller keeps track of the source code. They can check the registry for the program's placements, it's file leftovers and links. That is all that is reasonably expected to do. If you want a program again, reinstall it. JimK, I have been using this for several years, paid subscription. I usually leave the "Enable functions requiring data transfer" off. The program still works as needed and I see a percentage uninstalled anyway. How it accomplishes that I do not know. I have not monitored my network. I usually terminate the program after monitoring an install and only start it again to monitor a new install. (Some programs install when I click "download" and I may miss monitoring those installs. Some programs update automatically and I may miss those. I don't even attempt to monitor, e.g., Windows or Office updates. Too much to handle and this program is not how I'd uninstall; I'd set a restore point if MS isn't doing it for me. Using this program to see what is actually being puton my computer during an install, including from GOTD, is useful. Using it to uninstall is much better than what some programmers code into their uninstall packages. Leave the "Box 2: Enable functions requiring data transfer" unchecked. Not going to cause a problem. JimK, I have been using this for several years, paid subscription. I usually leave the "Enable functions requiring data transfer" off. The program still works as needed and I see a percentage uninstalled anyway. How it accomplishes that I do not know. I have not monitored my network. I usually terminate the program after monitoring an install and only start it again to monitor a new install. (Some programs install when I click "download" and I may miss monitoring those installs. Some programs update automatically and I may miss those. I don't even attempt to monitor, e.g., Windows or Office updates. Too much to handle and this program is not how I'd uninstall; I'd set a restore point if MS isn't doing it for me. Using this program to see what is actually being puton my computer during an install, including from GOTD, is useful. Using it to uninstall is much better than what some programmers code into their uninstall packages. Leave the "Box 2: Enable functions requiring data transfer" unchecked. Not going to cause a problem. Is it just me that thinks common sense dictates that we should have as direct as humanly possible a connection between the function of software and the name? Or am I just too conventional or what? locomotivebreath, A name put on some software program in one language might be totally unintelligible to one who speaks another language, even if the program itself can have a translated interface. If the program works you can always add a shortcut/link with whatever name is easiest for you to understand. Old Guy, well, that's a stretch, considering that the name is in English, and I wrote in English, and I didn't say a word about 'language'. So, the only relation your comment has to mine is that both are in the same universe. I was hoping for something much, much closer. Sorry. rwjack, I like to hear what makes you say this :) as I use Revo Pro my self and have had no issues with it but iObit and Ashampoo has coused problems for everyone I know where Revo fixed it, but never heard of this program so I would love to hear your experince to what make you feel this is better. I have had problems with Revo Pro on Win 10. It used to be my go-to app for monitoring installs until, and I can't recall exactly when, it stopped functioning normally for me, and not just on one PC. Particularly the right-click to monitor installs function. The menu bar stopped showing up making install monitoring more difficult. Revo support was unable to provide a solution. Even after multiple version updates of Revo I don't find it as easy to use as it used to be. 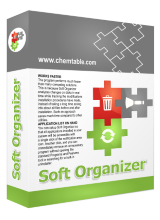 I like Soft Organizer, and it is much faster than it used to be. rwjack, Respectable answer ty for doing that :). Robert Fare, those sites just do the same as gotd, offering all kinds of programs. Is there any soft which can install uninstaled programs back? Bob, Totally unclear what you meant. Bob, Its called the "original program" software... Not trying to be a smart aleck but apparently I may have succeeded. Bob, yes. if you use the Total Uninstall program. You can also transfer the backup program to another machine if Total Unistall is installed on a removable machine. Almost all programs can not be moved, most of them though. ouialaraison, All joking aside, any uninstaller can only run the original programs uninstaller and then clean up any remnants. It would need to save the original program files and installed locations to be effective. Other than GOTD and, possible, other free one day only, offerings I can't think of any programs where you can't simply reinstall them at a later date. There are, of course, really old programs that just won't run under the newest versions of windows. I have one of those that won't run on my primary computer at the latest version on win10 but still works on another computer I use as a server that is at the same level of windows, weird, huh. the complete installed mass as a .zip. It was then able to renistall the complete app back in the future, either in the original location, or in a new location nominated by the user. I found it invaluable in the days of 80gb HD's, & many new apps being released, & then found unsuitable. I have searched for a replacement for many years. IS this software that missing replacement ??? Many years ago there was an excellent package called CleanSweep. It was an excellent uninstaller, & could bundle the complete installed mass as a .zip. It was then able to renistall the complete app back in the future, either in the original location, or in a new location nominated by the user. I found it invaluable in the days of 80gb HD's, & many new apps being released, & then found unsuitable. I have searched for a replacement for many years. IS this software that missing replacement ??? Total Uninstall costs $100 for this functionality, to "Transfer programs from one computer to another." Memorizing changes made to a system involves writing file names to a separate file. What you are suggesting is a back up of every program removed, and it would be a short period of time before your computer hard drive was filled with useless old programs in their entirety that you would probably never use again. It is unlikely that most computer users would want to fill their hard drive with old software. ouialaraison, Memorizing changes made to a system involves writing file names to a separate file. What you are suggesting is a back up of every program removed, and it would be a short period of time before your computer hard drive was filled with useless old programs in their entirety that you would probably never use again. It is unlikely that most computer users would want to fill their hard drive with old software. Susan, actually, I was not suggesting it, for many reasons, including the one you give. I was only pointing that Bob's question was not as absurd as it seemed. And there are also many reasons why a program "reinstalled" this way wouldn't work properly, especially if there has been changes in the system inbetween. Bob, Yes it's called system restore, save a restore point before uninstalling and if you regret it restore the computer back to previous state! Bob you have to install uninstal instaler to uninstal installed installation. OldGuy, I need to do a backup for my Win 10 computer but the Windows backup is so large that I don't want to do it on my hard drive and doesn't tell me how many CDs that would be needed if I go that route. Does Macrium make a smaller backup file than Windows? I keep missing the GOTD offerings for back-up programs. Macrium does do some compression, however it is still best to save that backup somewhere other than the drive you are making a backup for. The best solution is to invest in an external hard drive if you cannot add an additional hard drive to your computer (such as a laptop). Some laptops also have a place where a second drive can be installed, and it is a good idea to take advantage of that space when it is possible. You can get a 1TB USB 3 external hard rive for less than $100 and even closer to $50 at your local ?? ?mart store, or order one online. At such low prices, it is foolish to not have one available. Even though you might have missed some of the GOTD backup offers, it is hard to beat the Macrium free edition. It is a strong incentive to purchase the full Macrium package. Of all the backup software solutions that could be offered on GOTD, I had much rather see the full package of Macrium offered at 50% off than all the other backup software offered for free. In other words, you haven't missed anything. Velvet, Macrium does do some compression, however it is still best to save that backup somewhere other than the drive you are making a backup for. The best solution is to invest in an external hard drive if you cannot add an additional hard drive to your computer (such as a laptop). Some laptops also have a place where a second drive can be installed, and it is a good idea to take advantage of that space when it is possible. You can get a 1TB USB 3 external hard rive for less than $100 and even closer to $50 at your local ?? ?mart store, or order one online. At such low prices, it is foolish to not have one available. Even though you might have missed some of the GOTD backup offers, it is hard to beat the Macrium free edition. It is a strong incentive to purchase the full Macrium package. Of all the backup software solutions that could be offered on GOTD, I had much rather see the full package of Macrium offered at 50% off than all the other backup software offered for free. In other words, you haven't missed anything. Velvet, 1st: do not back up your disk to itself (if I understand what you wrote correctly.). CDs are too small, you'd need DVDs at least, mb, Bluray. I use an external USB3 hard drive. In fact, 2: I copy the most recent backup to a 2nd external USB drive so I have two copies of latest. If you have ANY data yoi value, and depend on your computer, you MUST backup; your hard drive WILL fail. So you must image backup your WHOLE drive, not just parts. Then WHEN your drive fails you can buy a new one and restore the whole thing. Macrium Reflect Free Edition is always free, not need to wait for a giveaway. Go get it. As for space: a recent backup of a 1TB drive (actually 931.51GB), with 247.24GB used produced an image file with Macrium of 184GB. The amount of compression you get depends on the type of files you have: large, already compressed files (videos) don't compress much. So YMMV. Velvet, 1st: do not back up your disk to itself (if I understand what you wrote correctly.). CDs are too small, you'd need DVDs at least, mb, Bluray. I use an external USB3 hard drive. In fact, 2: I copy the most recent backup to a 2nd external USB drive so I have two copies of latest. If you have ANY data yoi value, and depend on your computer, you MUST backup; your hard drive WILL fail. So you must image backup your WHOLE drive, not just parts. Then WHEN your drive fails you can buy a new one and restore the whole thing. Macrium Reflect Free Edition is always free, not need to wait for a giveaway. Go get it. As for space: a recent backup of a 1TB drive (actually 931.51GB), with 247.24GB used produced an image file with Macrium of 184GB. The amount of compression you get depends on the type of files you have: large, already compressed files (videos) don't compress much. So YMMV. I understand your question exactly. It is too bad that all programs do not work as a portable program does. It would be great if you could uninstall, maybe install some other program, uninstall some more programs, and still go back and put the first uninstall back into the system without having to depend on the original files, re-activation, or any other deterrents that prevents you from doing this with all programs. In fact, portable programs are intended to solve this very problem; the concept was based on people thinking the same as you do. I agree it would be nice to have the option you desire, and there is no reason that you could not be selective as to which ones you choose to save for later re-install. Filling up your hard-drive is relative; depends on how much free space you have. Since the data removed could be compressed, with sufficient storage space available you could go on for years and years. Most uninstall programs depend on the original program's uninstall program to do the initial work, then it scans for remaining files. The governing uninstaller may not know what the program's uninstaller removed, ... unless it was also able to monitor the original install. So you can see there are some complications that can develop. That is why today's offer has the option to allow it to collect the names of files that was left over by various uninstall programs. By building a database of what programs install, and what they leave after an uninstall, these can be programmed in to look for later. Sometimes disk space might dictate that a program has to be uninstalled. It might be a program that you wish to keep around, but wish to have it installed onto a different hard drive (e.g., move off of a limited sized SSD). If you copy an application to a different drive, the registry, start menu, and other files will not be referencing the new location. If you knew where each of the Registry entries were located for a program, you could change each one to the different hard drive. There is a program called "Application Mover" developed by Funduc.com that was designed just for that purpose. It simple looks for all references to the original location, and changes them to the new location. There is also a program that can help "move" applications to a different computer. It is intended for helping out in operating system upgrades, such as XP to Windows 7, but can also move programs to the same OS on a different computer, depending on which edition you use. The program is called PC Mover, and it is developed by Laplink, the company that originally became know for moving data/files from one computer to another via a special "Laplink" cable between two computers. The company has a "free" edition called PC Mover Express. They had a big promotion in May celebrating 35 years, and promoted the PC Mover Express to encourage people to try it out. I have PC Mover so I did not need to install the express edition. Thankfully someone else already mentioned Total Uninstall and also Cameyo, which can turn almost any program into a portable one. Keep thinking outside the box, and never worry about the soothsayers. Bob, I understand your question exactly. It is too bad that all programs do not work as a portable program does. It would be great if you could uninstall, maybe install some other program, uninstall some more programs, and still go back and put the first uninstall back into the system without having to depend on the original files, re-activation, or any other deterrents that prevents you from doing this with all programs. In fact, portable programs are intended to solve this very problem; the concept was based on people thinking the same as you do. I agree it would be nice to have the option you desire, and there is no reason that you could not be selective as to which ones you choose to save for later re-install. Filling up your hard-drive is relative; depends on how much free space you have. Since the data removed could be compressed, with sufficient storage space available you could go on for years and years. Most uninstall programs depend on the original program's uninstall program to do the initial work, then it scans for remaining files. The governing uninstaller may not know what the program's uninstaller removed, ... unless it was also able to monitor the original install. So you can see there are some complications that can develop. That is why today's offer has the option to allow it to collect the names of files that was left over by various uninstall programs. By building a database of what programs install, and what they leave after an uninstall, these can be programmed in to look for later. Sometimes disk space might dictate that a program has to be uninstalled. It might be a program that you wish to keep around, but wish to have it installed onto a different hard drive (e.g., move off of a limited sized SSD). If you copy an application to a different drive, the registry, start menu, and other files will not be referencing the new location. If you knew where each of the Registry entries were located for a program, you could change each one to the different hard drive. There is a program called "Application Mover" developed by Funduc.com that was designed just for that purpose. It simple looks for all references to the original location, and changes them to the new location. There is also a program that can help "move" applications to a different computer. It is intended for helping out in operating system upgrades, such as XP to Windows 7, but can also move programs to the same OS on a different computer, depending on which edition you use. The program is called PC Mover, and it is developed by Laplink, the company that originally became know for moving data/files from one computer to another via a special "Laplink" cable between two computers. The company has a "free" edition called PC Mover Express. They had a big promotion in May celebrating 35 years, and promoted the PC Mover Express to encourage people to try it out. I have PC Mover so I did not need to install the express edition. Thankfully someone else already mentioned Total Uninstall and also Cameyo, which can turn almost any program into a portable one. Keep thinking outside the box, and never worry about the soothsayers. OldGuy, Gary... Thank you for your responses. I appreciate reviews of back-up software since I have never used one. It sounds like Macrium has about a 26% compression rate. I will try it and see how I like it. I do save videos, docs, e-books, etc on flash drives or CDS so I have my important stuff saved in case of a fail, but since I now have Win 10 I want to get the system backed up. I just haven't been able to afford an external hard drive yet, but have plans to get one. Any suggestions for a good, but inexpensive brand. I see so many options out there. ouialaraison, That sounds like Revo Uninstaller Pro that I'm using so far your review don't seem to sound different have you tried the Pro version of Revo so you might enlighten me if there is any difference or areas where either is better than the other I would apreaciate it before I download it as I already own Revo and would rather keep one program than 2 if that makes sense. TK, Thanks for your appreciation. About being given the possibility to do a manual filtering of the traces, in theory you are right, of course, but in practise, how many "educated intelligent entities" like us would bother to check each and every change made to the system, one by one, never being very sure of what they are doing, after installing or before uninstalling a program? I know I wouldn't. Either I trust my uninstaller or I don't use it. Up till now, Soft Organizer doesn't seem to have failed me. mahdiameri28, What are you talking about? A salute to Cyber-War-Against-The-World-Putin, because ChemTable 'Organizers' are more Russian software that phones home? At least Chinese Maxthon bought a Los Angeles 'headquarters' for show when folks realized they were Chinese ... but their software still phones home to China, doh! Someday, everyone will learn to host their software in Switzerland or somewhere else neutral.
. [ mahdiameri28 ], A salute to Cyber-War-Against-The-World-Putin, because ChemTable 'Organizers' are more Russian software that phones home? At least Chinese Maxthon bought a Los Angeles 'headquarters' for show when folks realized they were Chinese ... but their software still phones home to China, doh! Someday, everyone will learn to host their software in Switzerland or somewhere else neutral. .
>"mahdiameri28, What are you talking about?" The person having the username mahdiameri28 got conned into one of the "get rich schemes" online. They tell you that if you purchase their program, it will make automatic posts to thousands of website's bulletin boards to promote the purchaser's product. But notice, there is no third party program mentioned. The purchasers are often so dumb, they don't even know how to set the system up with a product name they are wanting to promote. Some of the bulletin board software make a decent attempt of filtering out these types of posts, but the software program picks out some key words from the page they are posting to to include in the post, making it get past some of the filters. That is probably why the Soft Organizer Pro is part of the post. After the program has made all of the useless posts, it gives an account of how many websites it posted to, so the purchaser thinks they have invested well and will be raking in the dough soon. Sooner or later they figure out they have been taken, and stop using the software. ... hopefully. If you do a Google search on mahdiameri28, you see tons of senseless comments similar to this one. This is one of the distractions we have to deal with these days. John Davidson, >"mahdiameri28, What are you talking about?" The person having the username mahdiameri28 got conned into one of the "get rich schemes" online. They tell you that if you purchase their program, it will make automatic posts to thousands of website's bulletin boards to promote the purchaser's product. But notice, there is no third party program mentioned. The purchasers are often so dumb, they don't even know how to set the system up with a product name they are wanting to promote. Some of the bulletin board software make a decent attempt of filtering out these types of posts, but the software program picks out some key words from the page they are posting to to include in the post, making it get past some of the filters. That is probably why the Soft Organizer Pro is part of the post. After the program has made all of the useless posts, it gives an account of how many websites it posted to, so the purchaser thinks they have invested well and will be raking in the dough soon. Sooner or later they figure out they have been taken, and stop using the software. ... hopefully. If you do a Google search on mahdiameri28, you see tons of senseless comments similar to this one. This is one of the distractions we have to deal with these days. Kudos to [ Gary ], thanks!
. Kudos to [ Gary ], thanks! .